Most people join Rotary for the service opportunities, but many members indicate what they value most about their Rotary membership are the friendships they develop with each other. Rotarians enjoy spending time together. In addition to our weekly meetings, committee meetings and activities, and ongoing service projects, members have fun together in many different ways. Rotary After Hours (RAH RAHs) are opportunities for members to become better acquainted with other members in an informal atmosphere. Spouses, other family members, prospective members and other club guests are also invited. RAH RAHs are often held at members’ homes or at their businesses. Sometimes the events are held at a restaurant or pub. The events are held four or five times a year and generally on a weeknight, with the exception of Wednesdays when club meetings are held. The time is typically from 5:30 p.m. to 7:30 p.m. Hosts provide food and beverages. The club’s social fund helps to cover event expenses. 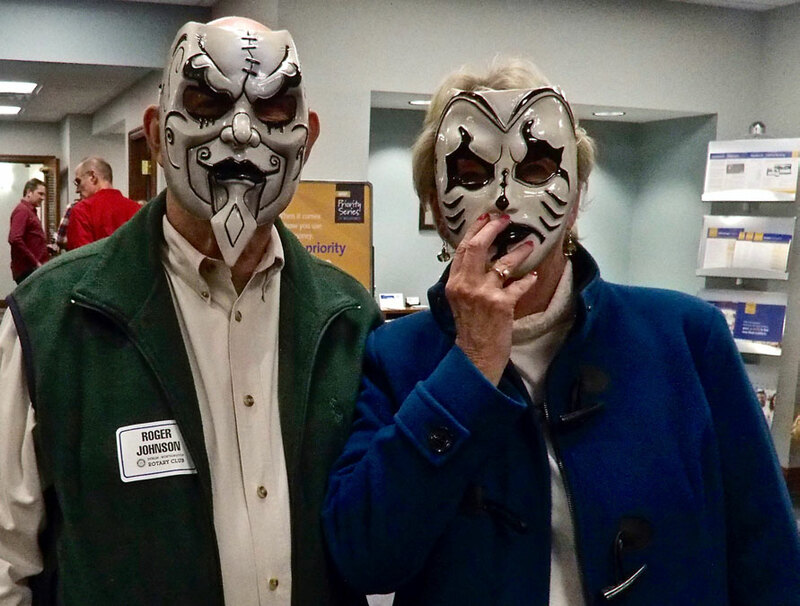 Sometimes RAH RAHs are also held on the fifth Wednesday of the month instead of a club meeting or on the weekend, a Rotary on the Weekend (RAH ROW). 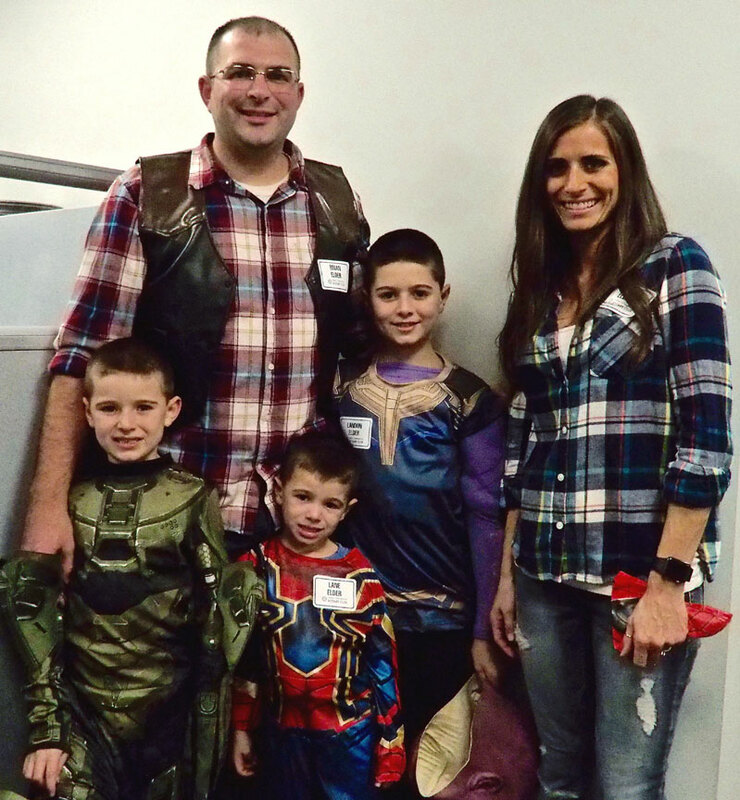 Locations in the past have varied – from a member’s farm to a banking office with a Halloween theme to a backyard barbecue and a local food pantry. Regardless of the place or day of the week, these events are always fun and strengthen relationships among members. 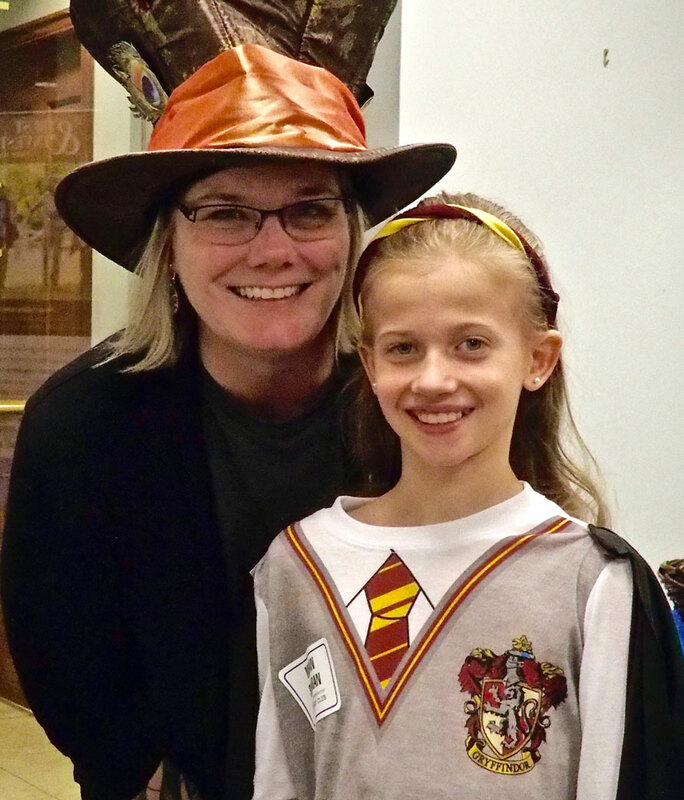 Throughout the year there are other social events that bring club members and their families together. 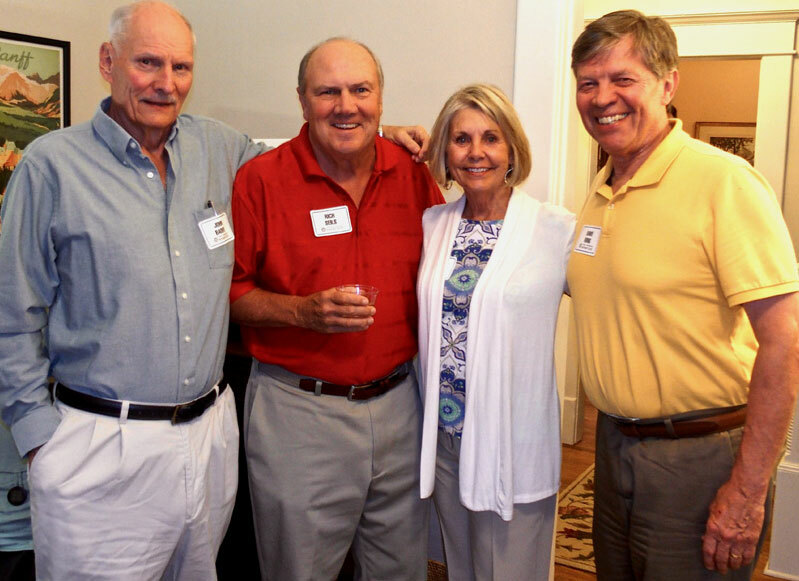 The clubs holds an annual holiday party in December, an installation and awards dinner in June and the Moulton Memorial golf outing during the summer. But it doesn’t stop there. Rotarians around the world share a basic bond of respect and friendship. Rotarians are welcome at a meeting of any of the more than 34,000 Rotary clubs in more than 200 countries where a visiting Rotarian will be treated as a valued friend. Conferences and conventions locally and globally also provide opportunities to network and develop friendships. 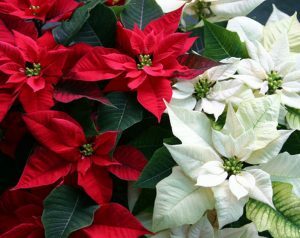 The holidays wouldn’t be as festive or meaningful without the club’s sale of poinsettias each year. The locally grown, premium plants are about 10 inches tall and they’re bushy, beautiful and healthy. They come in four color choices – red, white, pink and cream/pink mix – in a foil-wrapped container, which is 6-1/2 inches in diameter. Each plant costs $12. They are available for pick up during the first week of December. With a little watering, the poinsettias should last until Valentine’s Day. Each spring club members sell tickets for a special drawing with cash prizes ranging from $250 to $1,250. Tickets are $20 each. Other fund-raising projects include a silent auction in conjunction with the club’s holiday party and food sales at community events. Have a fund-raising project idea for our Ways and Means Committee to consider? Contact us. 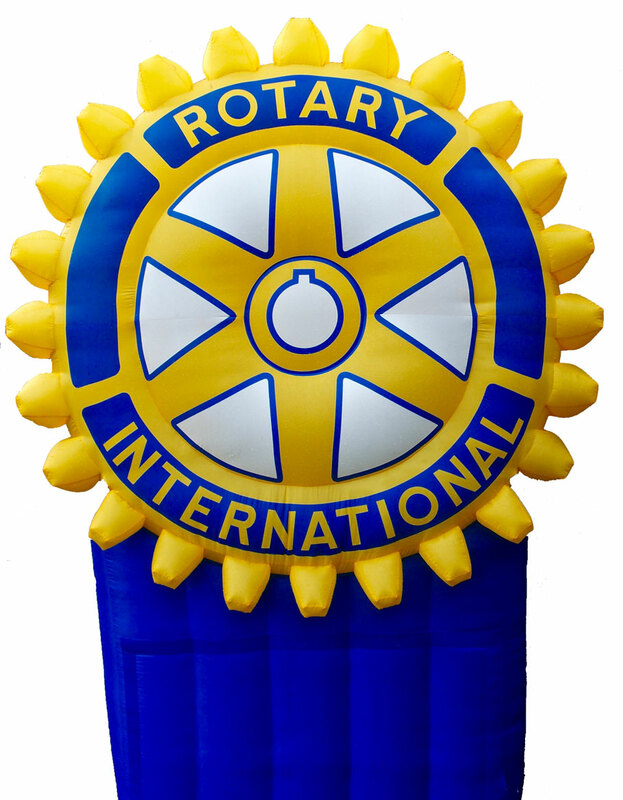 To celebrate Independence Day, our club hosts the Rotary Family Picnic on the Fourth of July. The annual event, which draws several thousand people, is held on the front lawn of Thomas Worthington High School from 4 p.m. to about 10 p.m. when the City of Worthington’s fireworks display begins. The family picnic is a fun way for families to celebrate our nation’s independence with neighbors and friends. The event features giant inflatable bounce games and other activities for children, specialty-food trucks and other food, beverages and ice cream treats sold by the club. Families may also bring their own picnic food and refreshments along with lawn chairs and blankets. The McConnell Arts Center is also involved in the event and the Worthington Schools and City of Worthington provide assistance. Admission is free. The event is funded by sponsorships and contributions by area businesses and individuals. 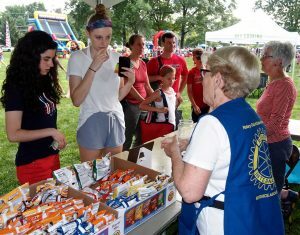 During the event Rotarians provide information about the club’s local and global service projects and other humanitarian efforts. Event proceeds and other donations support these efforts. 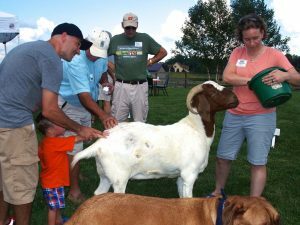 The event serves as a reminder of what Americans value — life, liberty and the pursuit of happiness – and demonstrates the club’s commitment to community service, fellowship and fun. 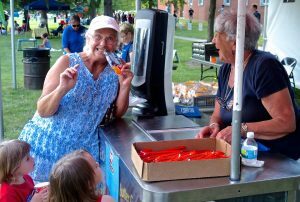 WANT TO BE A SPONSOR FOR WORTHINGTON’S SPECIAL CELEBRATION OF OUR NATION’S INDEPENDENCE?